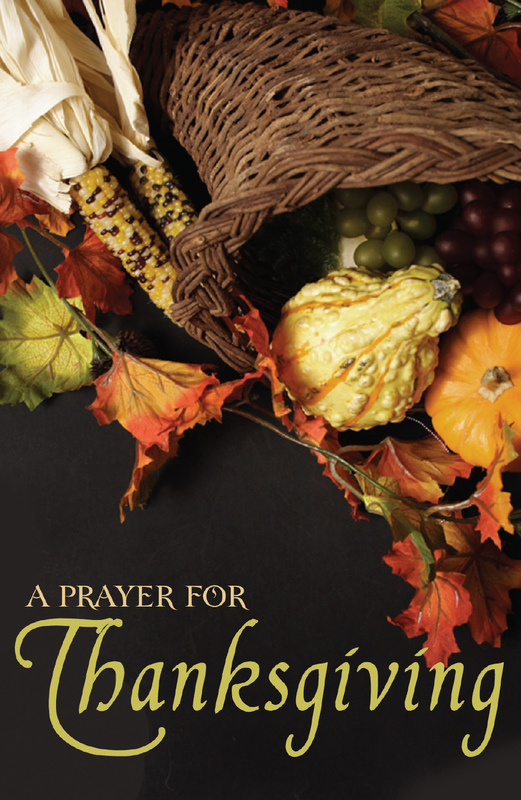 This tract is a simple prayer thanking God for everything that he has provided for us. Perfect for sharing with friends and family during the Thanksgiving holiday. Lord, as I sit down at a Thanksgiving table once again, I want to thank You for Your goodness to me. Thank You for meeting my needs every day—for food and shelter and clothing, and for the many extras You provide that I so often take for granted. Thank You that I live in a country where I am free to worship You and to read Your Word. Thank You that Jesus came into this world and took up residence in my life as Savior, Lord, and God. Thank You for all that You have given me as a Christian: the Holy Spirit who is Your presence in my life, the Bible that is a light to my pathway, and Christian friends who encourage and help me. “Be thankful unto Him, and bless His name. For the Lord is good; His mercy is everlasting; and His truth endureth to all generations” (Psalm 100:4-5).